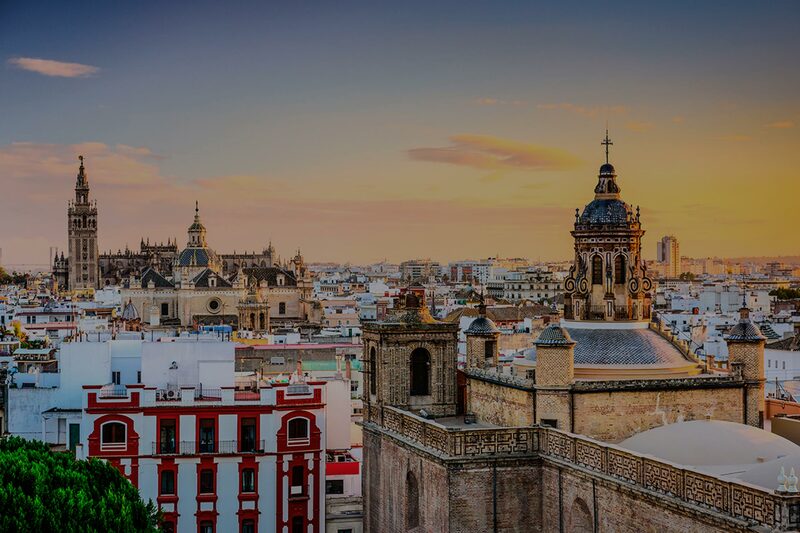 The Spanish Advanced Studies (SAS) program is for students who have completed Introduction to the Study of Literature & Culture in Spain (Spanish 3450). After taking a month-long course on Contemporary Spanish Society, SAS students have to option of taking 1 or 2 regular university courses with Spanish students at the Campus Universitario EUSA or at the Universidad de Sevilla. SAS students may choose courses from any university degree at EUSA and from many departments at the Universidad de Sevilla. SAS students will also have the option of taking CINECU courses designed by the program specifically for them. These courses are taught by local professors. Students in the Spanish Advanced Studies (SAS) program must sign up to take the intensive course Sevi 410 “Contemporary Spanish Society” (OSU 4595.02: IB Concentration Course) at the beginning the semester and then choose 3 or 4 additional courses. Students may take only courses offered by CINECU exclusively for SAS students, or mix those up with 1 or 2 regular university courses at the Campus Universitario EUSA or the Universidad de Sevilla along with native speakers. All CINECU courses have been pre-approved for graded credit by Ohio State. For EUSA and Universidad de Sevilla courses, students must seek credit approval from Ohio State. An introduction to issues in contemporary Spain: politics, nationalism and cultural diversity, gender issues, immigration, the arts. Topics on contemporary Spain are complemented by lectures and on-site visits to the major monuments of Sevilla, Cordoba, and Granada. *This class is required for all new students in the Spanish Advanced Studies Program during the month before classes begin at the Campus Universitario EUSA. A brief tour of the history of Spanish film from its origins through today. This course will analyze films in order to help students better understand Spanish Society and increase confidence in their ability to communicate (via reading, writing, speaking, and listening) in Spanish. Introduction to the theory of translation with extensive practice in translating various types of writings (literature, journalistic, and professional). Study of the literature of Spain centering on representative authors and texts from various literary movements within their socio-historical contexts. This course offers a panoramic vision of Hispanic American Literature from before the arrival of the Spainards up until the present. Through the readings of texts and active discussions in class, students will become familiar with the most relevant literary movements and genres, as well as the sociopolitical contexts in which these literary works were produced. Introduction to the description of sound systems with a focus on Spanish. (Offered in Fall semester). A close look at Spanish society both pre and post-Franco. The course focuses on gender and gender identity through an examination of contemporary Spanish society. Topics include women’s role in the economy, family, and religion; constructions of gender identity through language, art, and media; the impact of feminism on civil rights; sexuality and sexual identity. An historical analysis and contextualization of daily occurrences in Spain. This course renders special attention to Spanish political, social and economic situation, and the analysis of its international relations (mainly European Union, Arab countries, Latin America countries and U.S.A.). Also, it analyzes topics such as the relations between the Catholic Church and the State, the Spanish nationalisms or immigration. A study of the history, art, and culture of Islam and of Spain and Europe’s relationship with Islam. The history of the development of the European Union with special attention to its current and future political and economic structure, its agencies and institutions, the role of Spain, relations with Latin America, and the future of the Union within the international community. This course will examine 20th century Spanish Detective fictions including short stories, novels, and films. A wide range of secondary readings will provide us with theoretical frameworks through which to investigate detective fictions and their literary and cultural contexts. Students in the Spanish Advanced Studies (SAS) program may choose courses from the regular offerings of the grados universitarios at the Campus Universitario EUSA. Note that the “curso” (i.e., Curso 1°) refers to the year of the class in the Spanish curriculum (1° = ‘first year’, 2° = ‘second year’, 3° = ‘third year’, etc). The higher the course, the more background information you will be expected to know. You should look for course information on the website of Campus Universitario EUSA. In order to select courses, you will need to obtain the list of courses offered for the particular degree in which you are interested. By clicking on Oferta Académica, you will arrive at a list of the degree programs offered by EUSA. Remember that you may only take classes in the Grados Universitarios. Click on the grado in which you are interested, then on Plan de Estudios/Profesorado to find more information about the classes offered. A class is called an asignatura and a syllabus is called a programa. When looking at classes, only the classes taught in the semester in which you are studying are available to you. These classes are listed as Semestre 1 or Semestre 2. You should look for Semestre 2 when searching for second semester (Spring) classes. The syllabi are not given for the “Asignaturas optativas” which are degree elective classes. All degree elective classes may not be taught every semester. The university will publish the full list of classes at the beginning of the academic year. 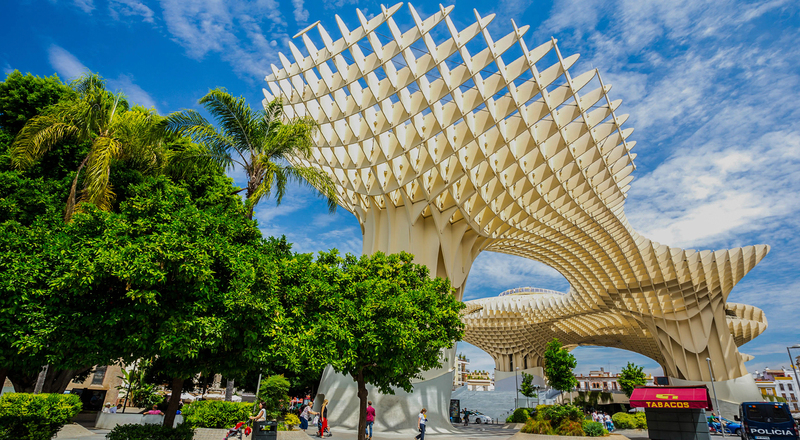 Students in the Spanish Advanced Studies (SAS) program may choose courses from the regular offerings of many of the facultades of the Universidad de Sevilla. Note that the “curso” (i.e., Curso 1°) refers to the year of the course in the Spanish curriculum (1° = ‘first year’, 2° = ‘second year’, 3° = ‘third year’, etc). The higher the course, the more background information you will be expected to know. When you look at the class schedules (horarios) for each facultad, you should look at the schedules for the GRADO. The classes in the MASTERS level are not open to you. In order to select courses, you will need to obtain the list of courses offered for the particular facultad in which you are interested. There is no central registration system or course listing, so you will have to check each facultad separately. By clicking on Centros y departamentos, then Centros Propios you will arrive at a list of all the escuelas and facultades of the Universidad de Sevilla. Click on the escuela or facultad then on Direccion de Internet to go to the homepage for the facultad. Not all will have the course listing and syllabi online. A syllabus is called a programa, so a list of the course syllabi may be called “Programas de las asignaturas”. Schedules and syllabi may normally be found under headings such as Docencia or Ordenación Docente. There are year long and semester-long classes. When looking at schedules, only the classes taught in the semester in which you are studying are available to you. Depending on the facultad they will denote whether a class is first semester, second semester, or year-long in different ways. You should look for 1ºC, primer cuatrimestre, 1C, or C1 when searching for first semester (Fall) classes. Spring semester students will look for 2ºC, segundo cuatrimestre, 2C or C2. When choosing classes remember that the different facultades are spread throughout the city and are not located on one central campus like at UNC. You will need to take this into account if you are interested in a class in Filologia from 10-11 am, and another class in Empresariales from 11-12. These are not in the same building and you will not be able to take the classes back to back. However, there is an exception. Filologia and Geografía e Historia share a building and you would be able to take classes in those facultades back to back. **Due to high demand, 1st year Grado courses are not available in any facultad. You will only be able to enroll in 2nd-year classes and above. Click on the degree of interest to find the horarios and programas. *Spanish language and Literature classes are under Filología Hispánica. Most students choose classes from Filología Hispánica for Spanish major and minor credit. However, you are also allowed to take classes in the other departments. **NOTE: The semester and year-long classes are both included in these schedules. If you find a class that interests you, you will need to double check the syllabus to make sure it isn’t a year-long course. Programas- Grado Filología Hispánica: http://www.us.es/estudios/grados/plan_159. Scroll down and click on Plan de Estudios to get the list of classes and links to the syllabi. Programas-otras grados: http://www.us.es/centros/propios/centro_6. Scroll down to Grados impartidos and click on the course of study in which you are interested. Then click on Plan de Estudios to get the list of classes and links to the syllabi. Programas: http://www.us.es/estudios/grados/plan_160. Scroll down and click on Plan de Estudios to get the list of classes and links to the syllabi. These schedules are more straightforward. When you look at the schedules you will see that to the right of each course title is a column labeled A-C. This tells you the semester in which the course is taught. The information listed to the right of the semester is the classroom, the schedule, and the professor. Programas (Syllabi): Found by clicking on Grados in the list at the top and then Plan de Estudios under each degree track. Programas: http://www.us.es/estudios/grados/plan_176. Scroll down and click on Plan de Estudios to get the list of classes and links to the syllabi. Please go to the Ohio State Office of International Affairs website for more information regarding credits and course equivalencies for this program. You will not register for classes until you arrive in Sevilla. An academic meeting will be held to provide you with more information on the registration process. *The actual dates will be confirmed by the on-site staff once you arrive in Sevilla. The drop deadline for courses depends on when regular university courses at EUSA begin. You will be informed of the deadline well in advance. All students will receive 3 credit hours for the September or January Contemporary Spanish Society course. After the Contemporary Spanish Society course has ended, students can choose to take all their remaining courses from the CINECU SAS course offerings or combine CINECU courses with 1 or 2 regular university courses at EUSA and/or Univ of Seville with other Spanish students. As is true for registration at your home college or university, it is the responsibility of each student to make sure that (s)he has officially registered all course changes with the program. If you are given a “no presentado” in a course because you stopped attending a course in which you were registered and failed to make the change in your registration, you will be given a failing grade on your official program transcript. Credit for a failed class will not be transferred, but record of the course and grade will remain on your program transcript. For regular university courses you can usually obtain a course description/syllabus online on the website for a particular degree program. This description/syllabus should be kept with any written work you do for the course in case your home university asks for documentation concerning course content. See “Campus Universitario EUSA” under “Course Offerings” for information on how to navigate that website. Although different university professors will have different rules concerning class attendance, you are expected to attend classes on a regular basis, take all exams as scheduled by the professor, and turn in written work as required for the individual course. In no case will the CINECU staff come to your defense if you receive a low grade in a course due to your failure to attend class or to turn in written work. Traveling is an educational experience, but you are expected to schedule your traveling around your academic needs, not vice versa. If you are out of town and in the process miss an exam or fail to turn in written work, you will receive an “F” for that portion of your grade. In order to receive credit for a course you must be in Sevilla for the entire semester and take the final exam at the end of the course. If you decide to drop out of the program before the completion of a semester, you will receive no credit for courses that you began but did not finish. If you miss a final exam due to illness or other legitimate reason, you are expected to reschedule the exam with the professor and remain in Sevilla until you complete the requirements for the course. It will not be possible to make up work in the U.S.
All grades (notas, calificaciones) in courses will be based either on a number scale (1-10, 10 being the highest grade) or the words sobresaliente, notable, aprobado, suspenso. The grades you earn in CINECU as well as in EUSA and Univ of Seville courses WILL count towards your Ohio State GPA.